Scenic landscape - Screenshots - PixelTail Games - Creators of Tower Unite! 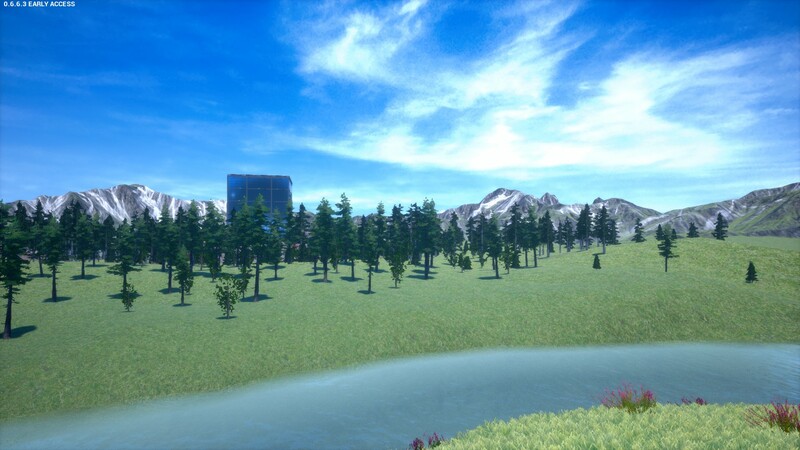 Went exploring out of bounds in resort, there is a crazy amount of solid land you can use for builds out there, but at one point, I stopped in a spot that would make for a neat screenshot, so I took one. Oh yeah, I like how this looks, kinda reminds me of the old wallpaper Windows would have when booting up a brand new PC/User account. Oh, the Windows XP desktop?